I think they will look really cute together. 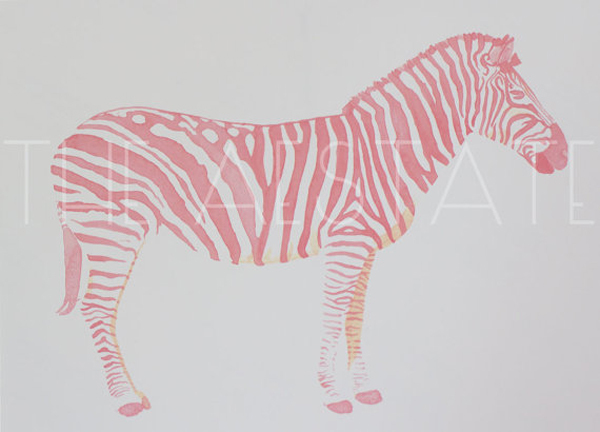 This pink zebra is also another little purchase for the gallery wall (the colors aren't exactly right on this photo). 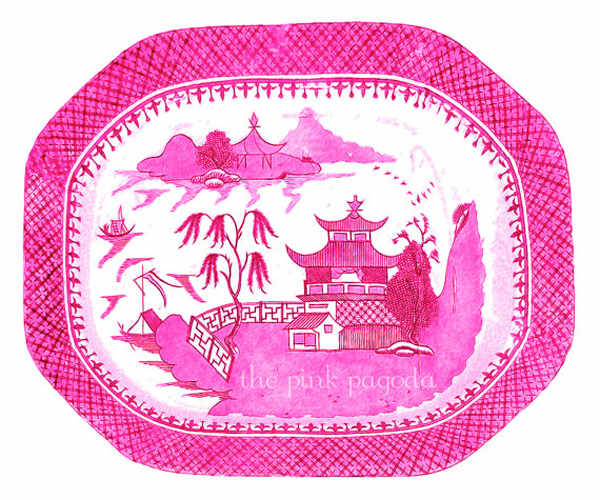 It is from The Aestate on etsy, another fabulous blogger and artist. 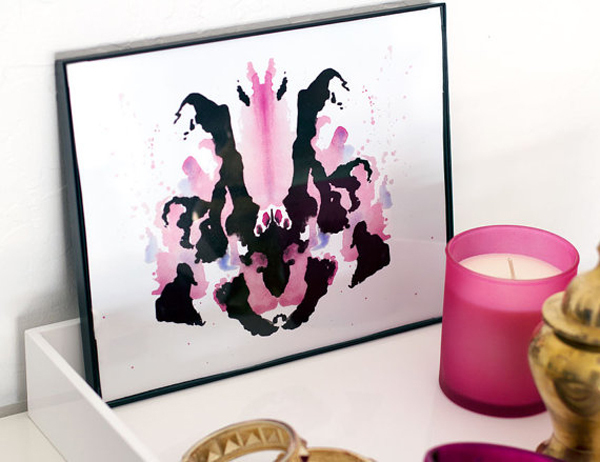 This cool Rorschach Ink Blot print is also from The Aestate. But, this is for my office. I think it could be a little scary for a five year old's room. No? I mean she still sleeps with a night light. Way cool for moi though. And even though this is not a print, it is still paper.....OMG! I'm so excited about this one. Have you heard of May Books? They custom make the cutest little perfect sized notebooks. 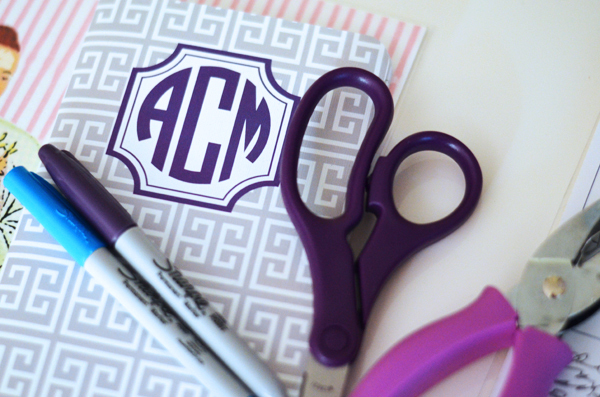 You chose your print, chose your initial design, input your initials and presto! They are a great price too should you need a little gift for a friend, colleague or teacher. I ordered one for myself (below) and two more for my friend as a present. Aren't they cute? There you have it dear friends...some sweet paper beauties. Do you love paper as much as I do? Happy Monday lady. And yes, equally smitten with paper and so need to order some notebooks from May Books. Can't live without a little book for my projects. Great picks too on the prints for the little one. I can't get the new pink lips print from the The Aestate outa my head so I may just need to go ahead and order that as well. Have a fab week. Beautiful! I love the zebra print. Gosh I love paper! The second to last piece is so pretty. My favorite on-line source is Paper Mojo, I seem to have a problem when it comes to buying it, as I can't stop! That notebook is a great little gift. Thank You! She has great stuff! I have a couple prints! Oh are you off and running. I love your pics. That first one will look lovely in a girls room. Hello! I didn't know this Etsy collaborator, but it is really gorgeous. 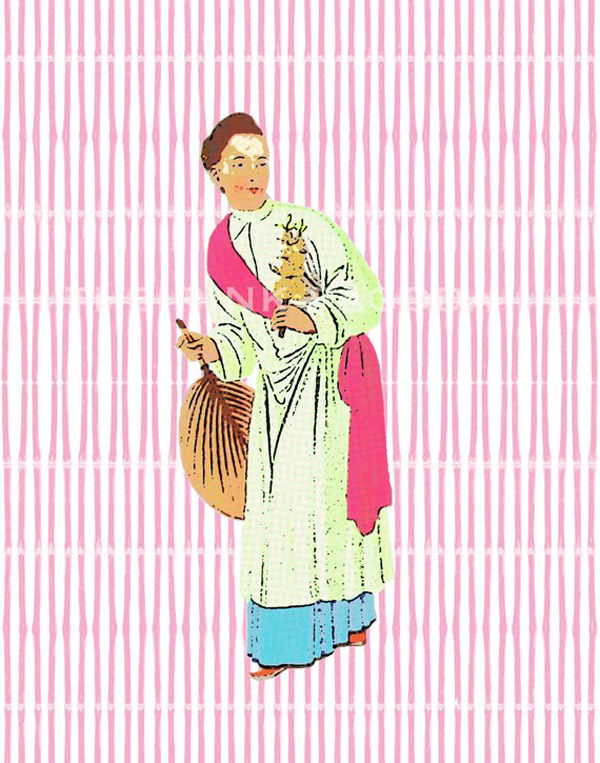 I have to check carefully because I adore the chinese girl. LOVE love LOVE that Zebra! So cute. I've had my eye on that blot print for a while now too! Love the color combo. I'm in love with the zebra from Jessica, soooo beautiful! I'm using the link pagoda you gave me! I love it, thank you!